Here's a fast way to get holes and taps to line up properly. We're going to eyeball it using a wiggler. 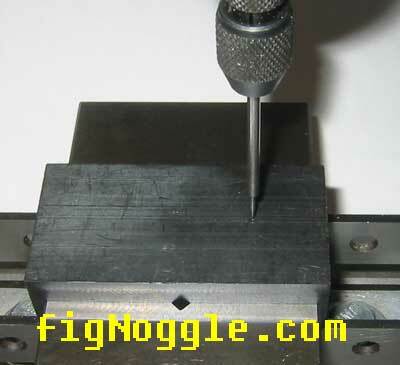 here we go, in a few basic steps..
move the table until the tip of the wiggler is right on the center of your hole. in this example, we're making an acetal/delrin nut to replace the stock nuts in the X and Y axes (plus upgrading the leadscrews). 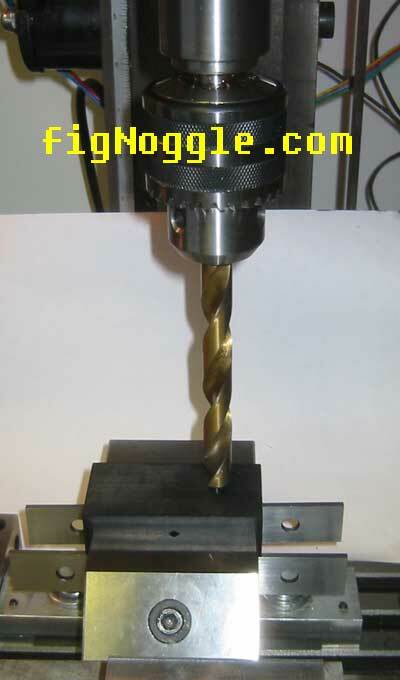 we often times find ourselves using a 1/2" or larger drill bit. in the X2, Z-axis clearance is an issue. since we can't get the bit in with the head raised to the top, we need to move the bed. this is a great time for DRO since we can easily move the table and relocate the center again. 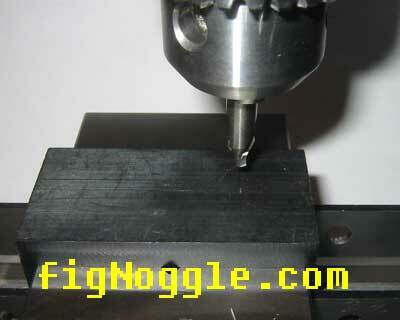 here we start drilling the hole. 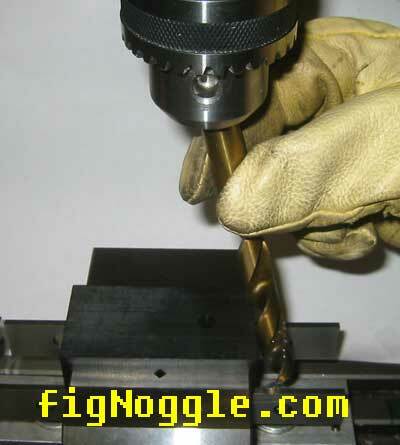 it's best to use the final drill bit to avoid misaligned holes by stepping up drill bits as they tend to flex. we're going to tap right in the same place. a trick is to use a transfer punch or something similar (here a philips bit) chucked into the drill chuck to help us align the tap. a 5/8" acme tap is used here.